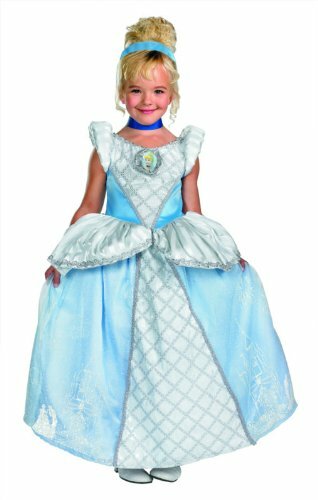 Cinderella costumes for little girls to play dress up in is an excellent idea. 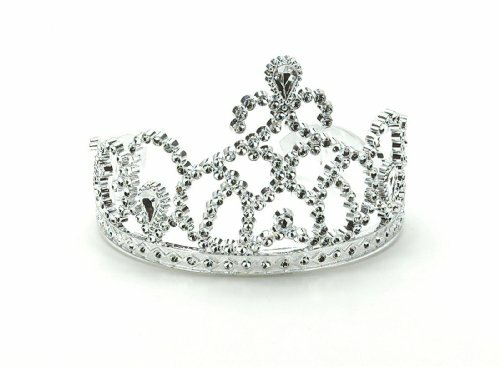 Every little girl wants to feel like a princess. 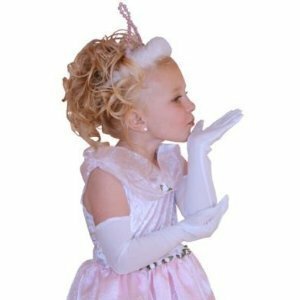 My girls loved to play dress up. We had a trunk full of costumes and wedding dresses. 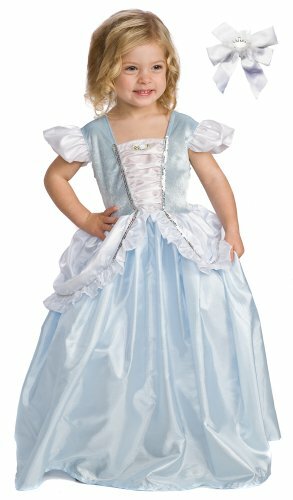 They didn’t care if they fit or were too big, they felt like a princess. I would pick them up around Halloween time or from garage sales or thrift stores. 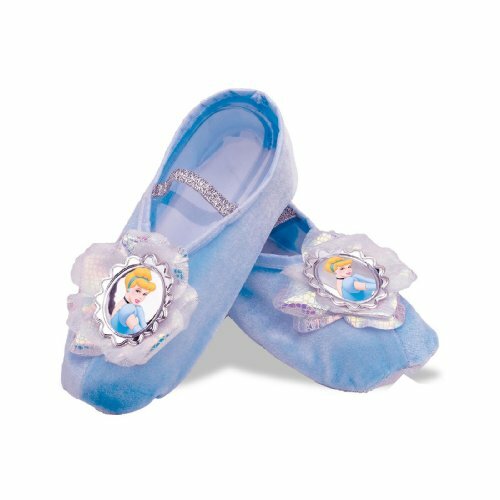 The girls didn’t care if they were new or not, they just wanted to look like Cinderella. 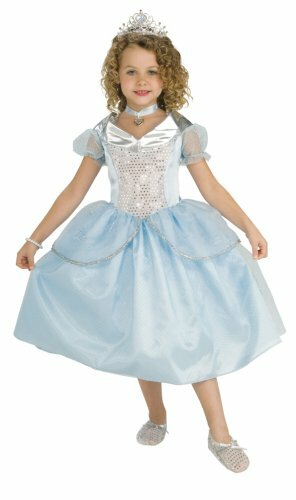 Of course, I tried to get only machine washable Cinderella costumes because my girls wore them all the time. Inside and outside the house. They even climbed trees in them. There wasn’t much to pass down once the girls got too old for dress up. 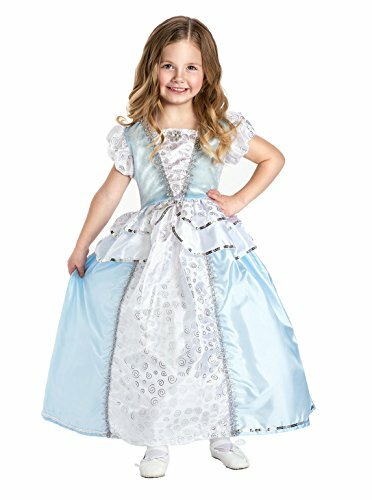 Cinderella costumes for little girls can be made also. 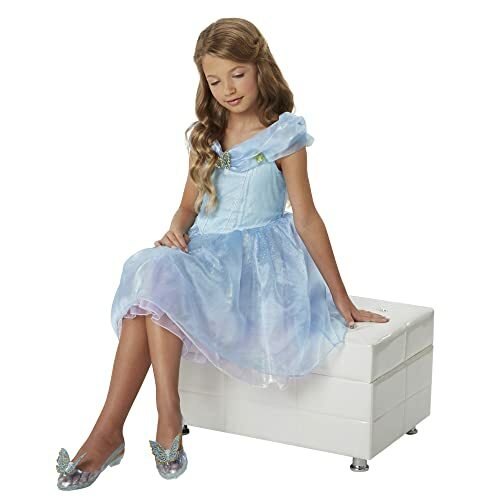 There are adorable sewing patterns available. I did sew when the girls were young, but not anymore. 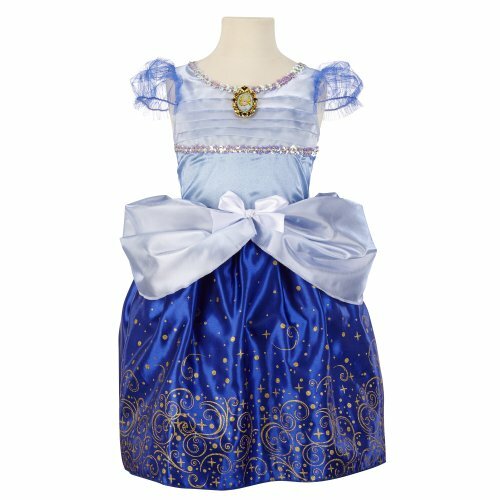 But that is a good option for finding Cinderella dress up costumes. 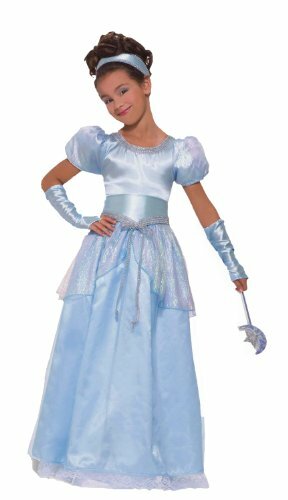 A Princess she shall be in this beautiful glitter Cinderella costume that comes with the headpiece, choker and petticoat. This is a quality garment that will last for many years. 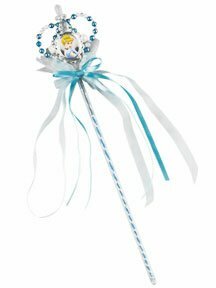 The material is soft and silky. The details are beautiful. It’s not what you would expect in a typical costume. 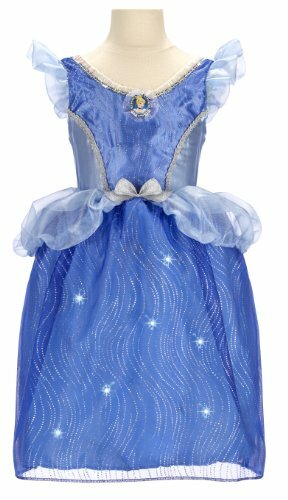 That’s why this costume will make the perfect dress up outfit. It will last longer than one play date. 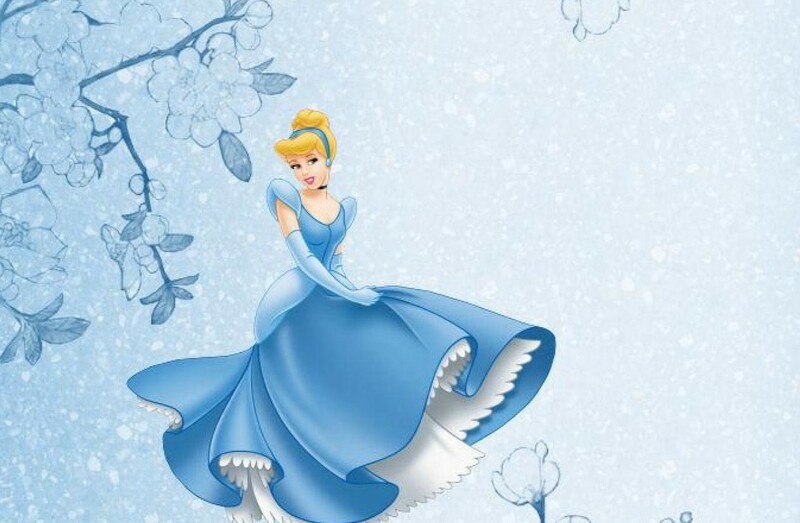 Cinderella Live Action dress up costumes come straight from the new movie that we are all racing to see. 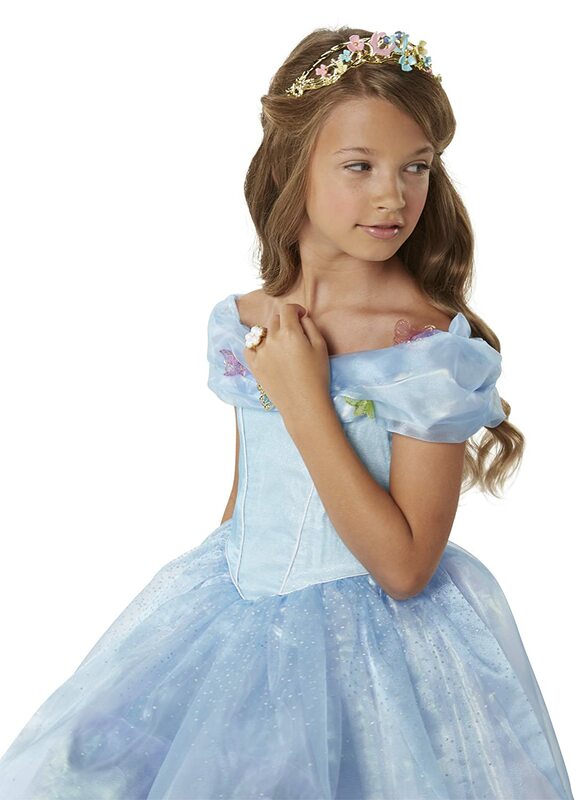 Now your little princess will have her own costume to play in and feel like Cinderella all dressed up for the ball. 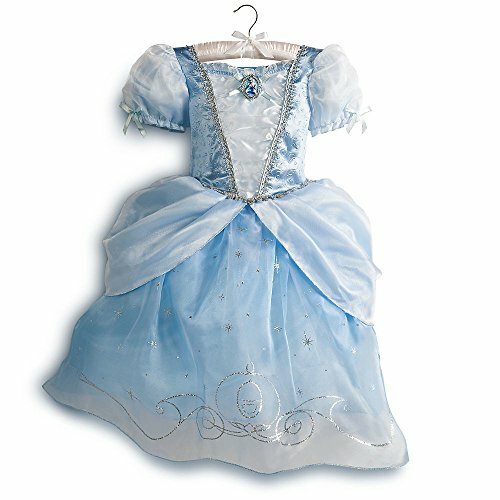 Here are a few more great selections for Cinderella Costumes for little girls to play dress up in. These all come with different accessories, so read the fine print carefully so you know exactly what you are buying. 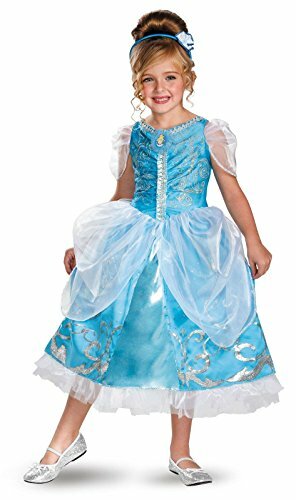 Amazon is not the only place you can find great children’s Cinderella costumes. Here is another great place to find value for your money and still get great products. Many of these are the same for you to compare prices. You never know when a bargain will come around. Many of these are the exact same dress from the same manufacturer, so you aren’t giving up value by buying some where else. 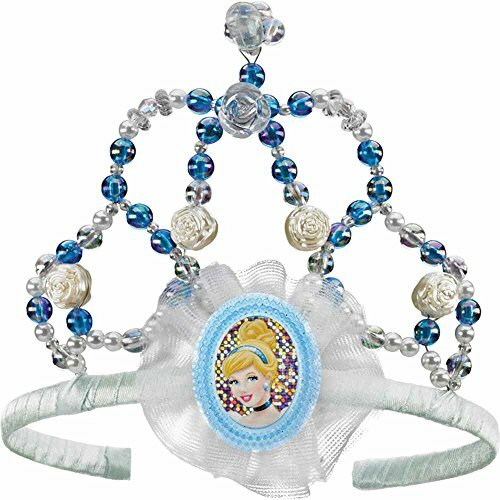 Once you find some great buys on Cinderella costumes for your little girls to play dress up, you might think about a few very special accessories. 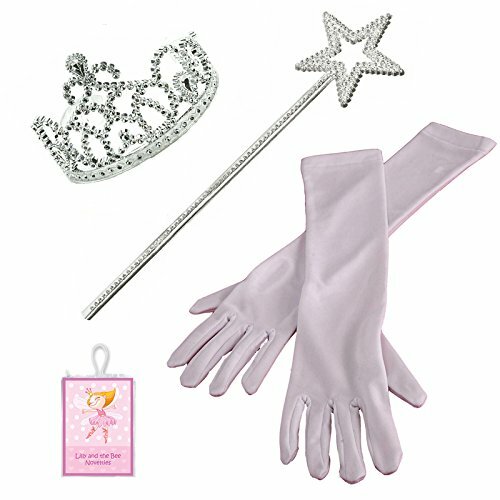 Every Princess needs her crown and her gloves and maybe a wand. 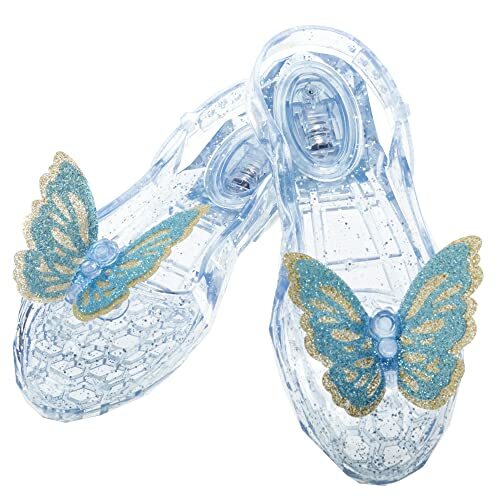 Don’t for get the glass slipper. 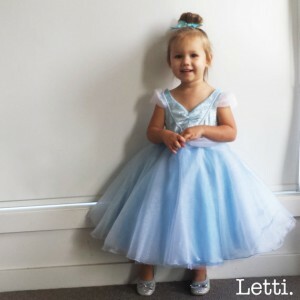 Now she is ready to play Cinderella dress up any time she wants. 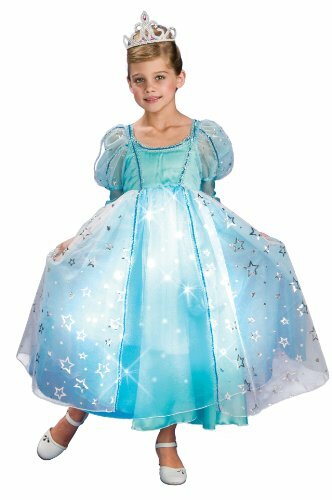 When she invites her friends over, get ready for the squeals of joy when the little girls see the great Cinderella Costumes you have for them to play dress up in. Wow…what fun!